Today’s teens are maturing early as they are becoming tech-savvy. Although some teens do not have the time to do part-time jobs because they are overloaded with their studies and extra-curricular activities, there are lots of other things that teens can do today to earn money from home. There are plenty of online jobs for teenagers. With some creativity and in some cases a bit of relevant experience, teens can land many jobs online to earn some money on the side easily. This post may contain some affiliate links. Please read my disclosure for more information. Paid online surveys are a great way for teens to earn some extra cash from home. But beware some survey sites that are not legit and do not pay much. You should sign up with only the reputable legit survey companies online. Real Online Surveys is one of the most reliable blogs and sources for finding the best information about paid online surveys that are legitimate and which has links to the highest paying surveys online. Most surveys take 10-30 minutes to complete. You can earn anywhere between a few cents and a few dollars, depending on the length and complexity of the surveys and the companies offering the surveys. To learn more, check out this list of trustworthy surveys companies for teenagers ages 13 and up. Although customer service jobs are specifically for adults, there are some companies that hire teens to work as customer service representatives from home. If hired, you will usually take inbound calls on behalf of the companies you will be working for from their clients for various different services. You may be able to choose your own schedule but may have to be available for doing a certain number of hours per week. Uhaul is a great company that offers work from home positions to teenagers 16 and up. Online tutoring is a great way for teens to earn some money from home. If you are good at an academic subject or more you can sign up with online tutoring sites that let teens tutor others and earn money. Online tutoring jobs pay well. So if you have the right skills, you can earn pretty much money tutoring kids or other students who need help with a specific subject or more. You can check out tutoring sites like Enroll, Tutor.com and TutorVista to get tutoring jobs online. Teens that have a knack for writing can write eBooks and publish them via Amazon’s Kindle Direct Publishing (KDP) to earn up to 70% royalty on sales to customers from different countries around the world. You can also sell eBooks via the marketplace of Amazon.com. If you write quality books on popular topics or on topics that have a large readership but have less competition on the market, you can earn good money writing Books and selling then online. You can sell the same book multiple times, meaning you can earn money every time someone buys it. If you have some artistic skills, then you can create handcrafted items such as gifts and accessories and sell them via your own blog or site or a third-party marketplace like Etsy. You can open a shop on Etsy if you are 18 years of age but one of your parents or someone who is your guardian has to manage your shop for legal requirement. If you are good at any particular craft, and you can market your skill properly it is possible to earn good money selling your crafts online. There are many ways to make money writing article online. You can join freelance bidding sites and bid on jobs posted by clients. If your bids are accepted you will submit the relevant work within a deadline for each job. If your work is approved you will be paid. You can pick up article writing jobs from some article writing job sites and if the clients accept your work, you will be paid instantly. Some sites pay upfront for any article approved by them, so you can submit your articles to these sites and get paid if they are approved. You can also pitch to content publishing sites to ask if you could write for them. Another way to make money by writing articles is to sell your pre-written articles via article or content marketplaces. You can use music review sites to rate and review music. Many new bands or musicians want to know whether their new music or songs would do well when released on the market through reviews left by music reviewers who match the demographic of the musicians’ targeted audience. When you sign up for a music review site, you listen to a clip and then give it a rating, usually 1 to 10. You get paid for each approved review. Pay for each music review varies depending on the quality of your review and ratting. You will not earn much by reviewing music online, but you can earn a few extra dollars easily listening to music. Slice the Pie is one of the best sites that let people earn cash by reviewing music. There are lots of companies and people who need people with web design skills to design their blogs and websites. If you have basic coding skills and are familiar with different blogging software, you can design websites for small companies and professionals or individuals who do not have the skills to design their own sites. You can find web design jobs on freelance sites like Upwork, Freelancer, Guru and People Per Hour and web design job specific sites. If you are good at typing and have great listening skills, you can do general transcription jobs online as a teen. However, the pay may not be great considering the type and amount of work involved. Transcribe Me and Speechpad are great sites for teens 18 and up. If you have strong grammar and spelling skills, proofreading can be a great online gig for you. There are lots of proofreading jobs available out there that teens can do online. You should be able to identify misspelled words, know when and how to use punctuations and spot and fix grammar issues. Freelance sites like Domainite, Textmaster and Kibin list many jobs for proofreaders on a regular basis. You can sell your used text books online via sites like BookScouter and Amazon.com. In addition to selling text books, you can also buy used books in good condition from used bookstores or yard sales and resell them online at a profit. If you love taking photos, you can upload them to different microstock photography sites and if they are accepted by the relevant sites, you can earn some money for each photo sold. Typically, photos are sold under different types of image licensing. The common license allows a user or client download a photo for a relatively small fee. So, you can sell the same photo unlimited times to clients around the world. You can sell your photos via Shutterstock, iStockPhoto, Dreamstime, and more microstock photo sites. 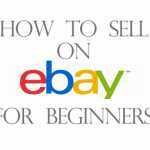 You can earn good money by selling your own stuff that you no longer want or need on eBay and other auction sites. The competition is so high that you may have to wait long before your items could be sold. However, if you take good photos of your stuff, provide good descriptions of the items and price them reasonably, you may be a successful eBay trader. You can also offer to sell old items of your family members and friends and then share the profits with them. If you have website developer skills or are familiar with Content Management System (CMS) like WordPress you can build websites for others and earn decent money. You can even create attractive websites by using readymade templates. There are many sites like Upwork, Guru, PeoplePerHour, Freelancer, etc online that list web development jobs. If you are knowledgeable about a particular topic and enjoy writing, then you can create a blog to share your knowledge with others. Once your blog has built a bit of steady traffic, you can use various blog monetization methods like affiliates marketing, ad displays, and more. These are just some of the best ways you can make money blogging. If you have a marketable skill, you can find jobs relevant to your skills on freelancing sites like Whether it is writing, translating, web design, or any other skill you may have, you can market your skill and do work to make money freelancing online. To learn more, read this article on how to make money by selling your skills online. If you have a marketable skill, you can advertise it on different sites like Fiverr where you will simply list your service or services by creating a relevant gig. If someone finds your gig and are interested in what you have to offer, they will order it. On Fiverr, you can list your service or services through a gig for $5. If you improve your status as a seller, you can add additional service to your gig to earn more money. Most Teens are likely to know lots about social media sites as they spend lots of time on various social media sites. Companies and people use social media sites like Facebook, Twitter, Pinterest etc as a strong marketing channel to advertise their products, services, etc to their customers or targeted audience. But they are not familiar with social media sites or do not have the time to handle it. This is where you come in as a social media consultant, offering your social media expertise to help these companies and people. For instance, you can build an audience for your client, or post content for the client, among other services. Today, teens around the world are making extra money on the side using the Internet. 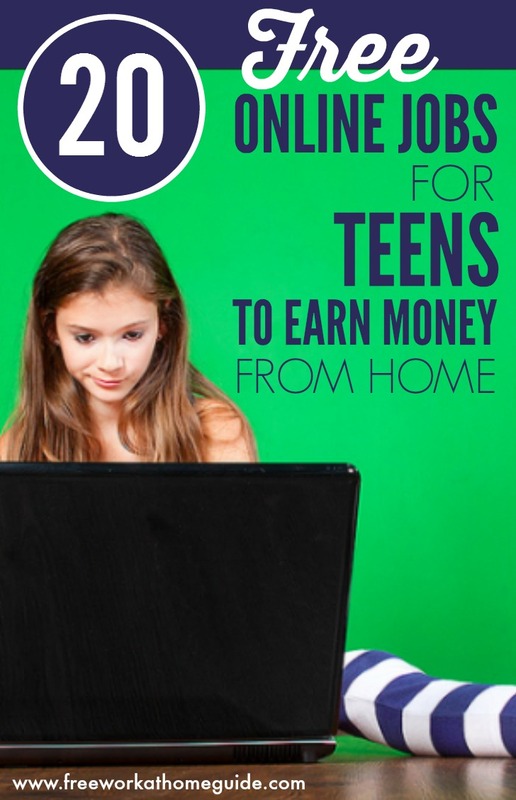 If you have at least a skill or/and familiar with the Internet, you can use one of the 20 ways teens can earn money from home, listed above.